Physical therapists are graduates of an accredited program in physical therapy who have passed state boards to license them to perform physical therapy. 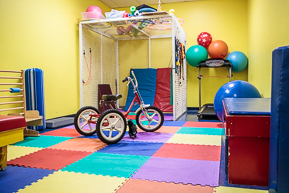 We practice in many settings including hospitals, private clinics, schools, rehabilitation facilities, nursing homes, and athletic and fitness facilities. A physical therapist will examine and evaluate a patient to determine a physical therapy diagnosis, prognosis, and the intervention needed. We are able to alleviate impairments and functional limitations through therapeutic treatments such as exercise, manual therapy, assistive and adaptive devices, wound care with debridement, functional training, neuro-muscular re-education, splinting, and patient education. Physical therapists prevent injury, impairments, and functional limitations by promoting fitness and healthy lifestyles. We engage in research, education, and consultation. 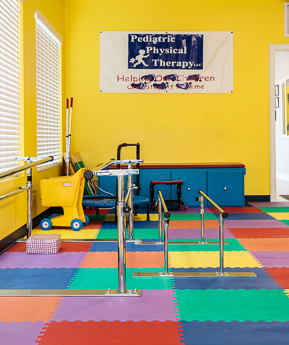 Common disorders that pediatric physical therapists treat are: Muscular Dystrophy and Neuro-muscular Diseases, Developmental Delays, Patients with Cancer, Pain, Spinal Cord Injuries, Traumatic Brain Injuries, Cystic Fibrosis, Spina Bifida, Cerebral Palsy, and Orthopedic Conditions. Pediatric Physical Therapists are able to determine a child’s level of physical developmental with standardized testing. A developmental delay exists if there is a discrepancy between the developmental age the child scores and their chronological age.